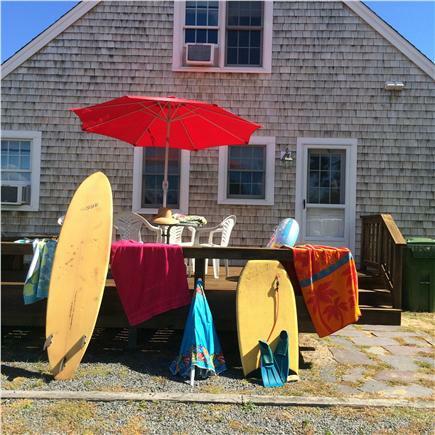 Your Cape vacation home with privacy, space and quiet. Anyone for AM coffee on the side deck? You're in the ''pink'' with this house. 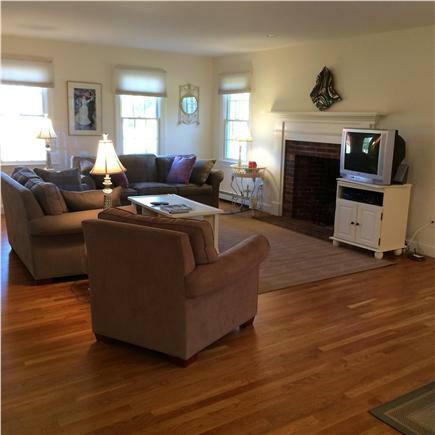 A sunny, open space for TV, games or even a nap. A lot of space for family conversations. You can have many cooks in this kitchen. Evening dinner or lazy lunch on the screened porch, perfect! Curl up in the master queen suite after a day at the beach. Grandma & Grandpa can sleep here. 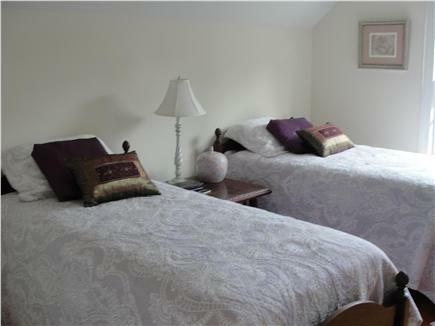 Children or guests will love these twins. Deck Hang out after the beach. 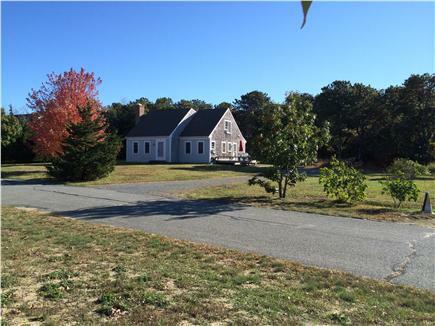 This recently built home is located within 2 miles of Marconi, Nauset Light and South Sunken Meadow beaches. 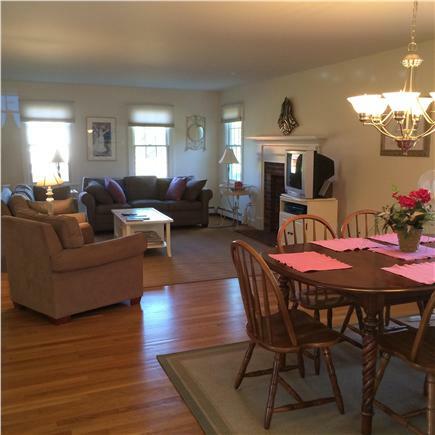 The living room/dining room is a spacious open plan with a slider to a large screened porch. 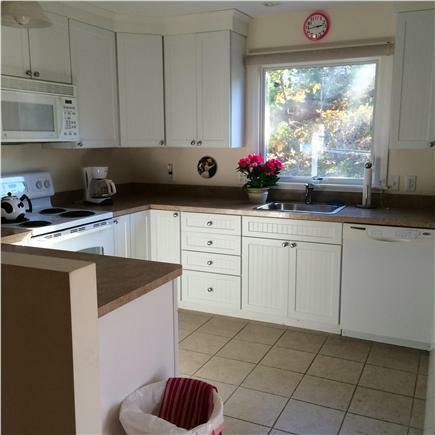 The kitchen is large and there is a half bath/laundry off the kitchen. 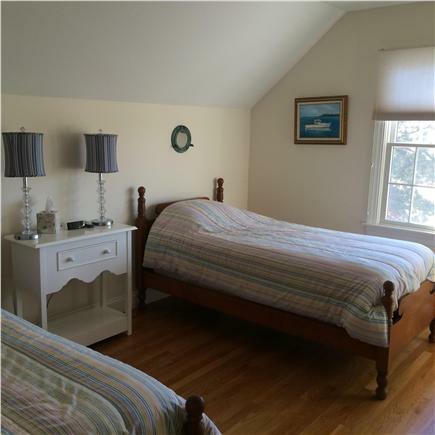 The first floor has a queen master bedroom en suite. 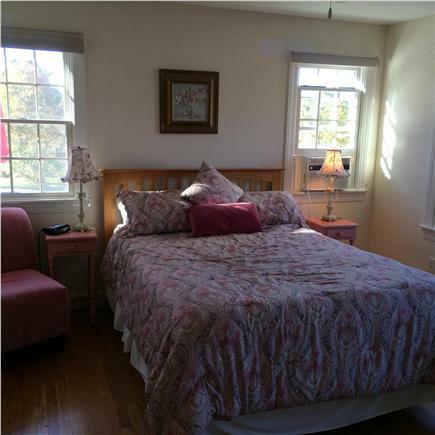 he second floor has two twin bedrooms and a full bath. 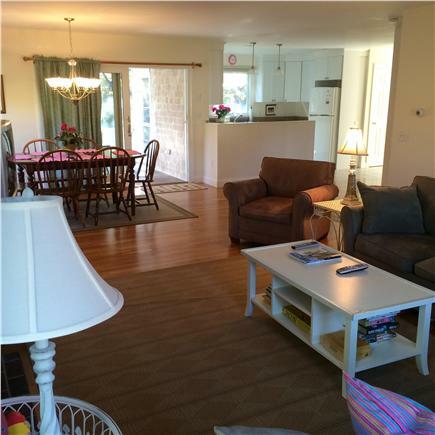 The house has a central vacuum system, air conditioners in each bedroom, and 4 ceiling fans. There is expanded TV cable and WIFI. 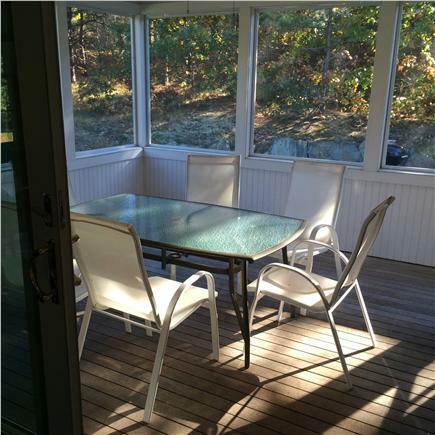 There is a deck with furniture and benches on the side of the house with a long view of field and marsh. There is an enclosed outside shower. The setting has a rural feel. The road is a dead end with only 7 houses, and there is very little traffic, allowing children to ride bikes safely. The road is off Massasoit Road, the back road from Orleans to Wellfleet, making it easy to stay off Route 6 and away from the heavy traffic. 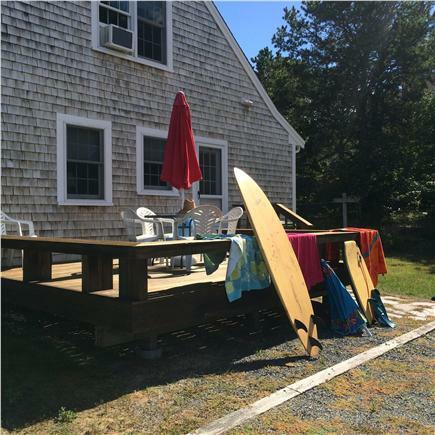 The Cape Cod National Seashore Visitors Center and the Schoolhouse Museum are 3 miles away on Route 6. Nauset Light is 2 miles. The Cape Cod bike trail is 1 1/2 miles from the house. 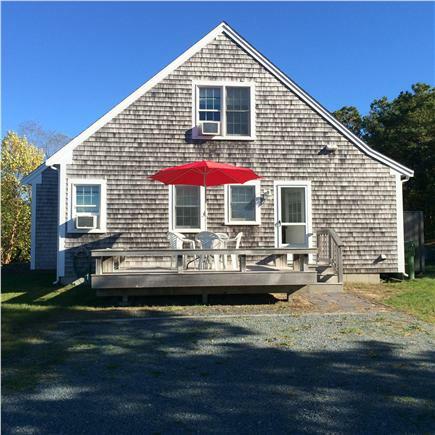 The Wellfleet Bay Audubon Center is within walking distance, as is the Wellfleet flea market, theater and drive in. The house is also close to restaurants, ice cream, shops and the Post Office.